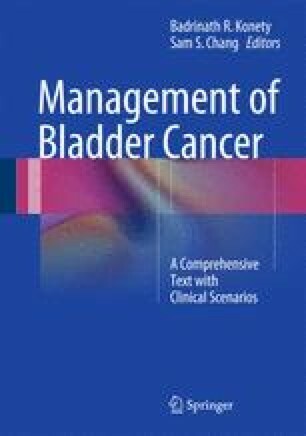 Management of patients with intermediate- to high-risk non-muscle invasive bladder cancer (large, multiple tumors, presence of carcinoma in situ, and high-grade disease) is centered on optimal intravesical bacillus Calmette-Guerin therapy. Improvements in technology, such as photodynamic diagnosis combined with traditional techniques of complete resection and thorough staging can improve outcomes. Timely surveillance with cystoscopy is necessary, and urinary markers such as fluorescence in situ hybridization can further help risk-stratify those most likely to fail treatment.